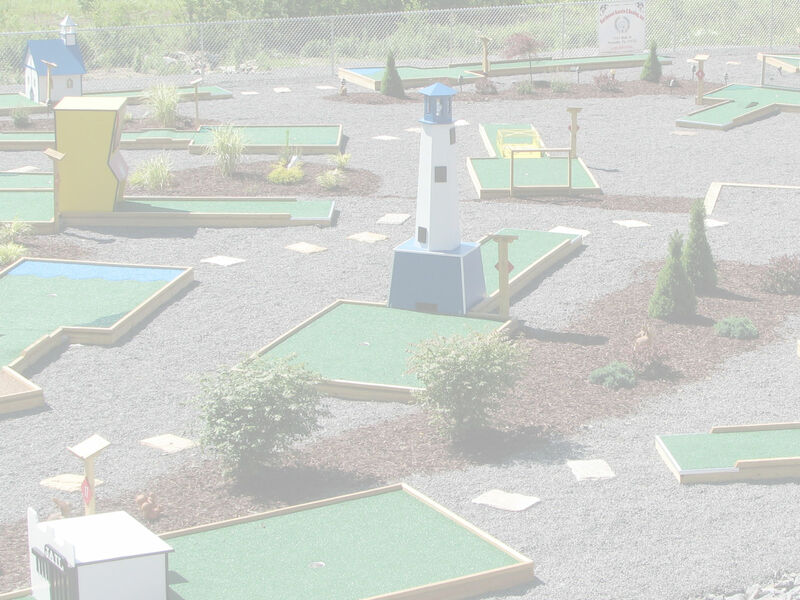 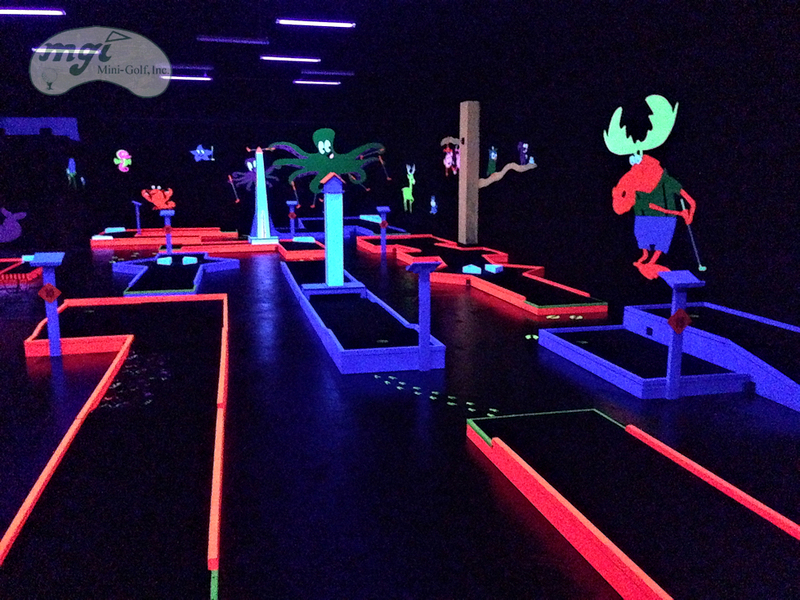 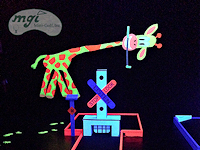 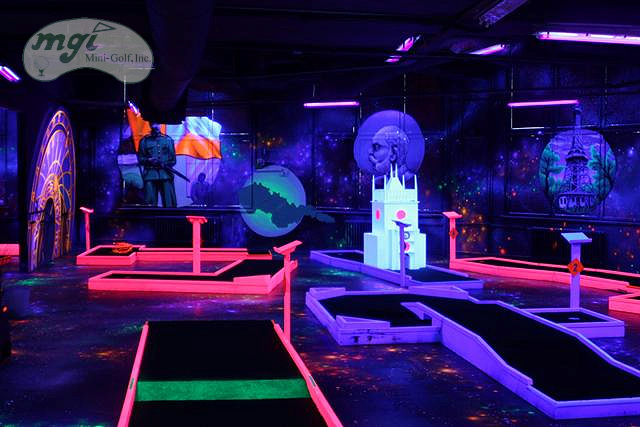 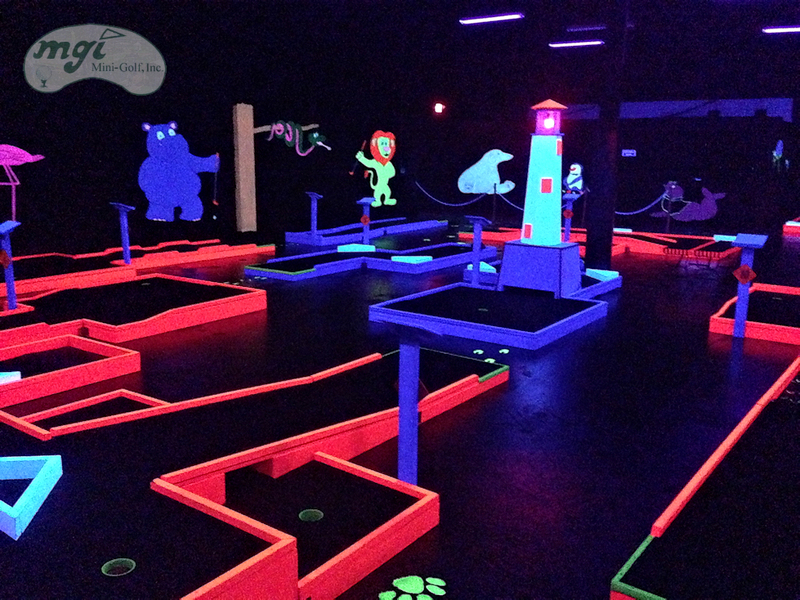 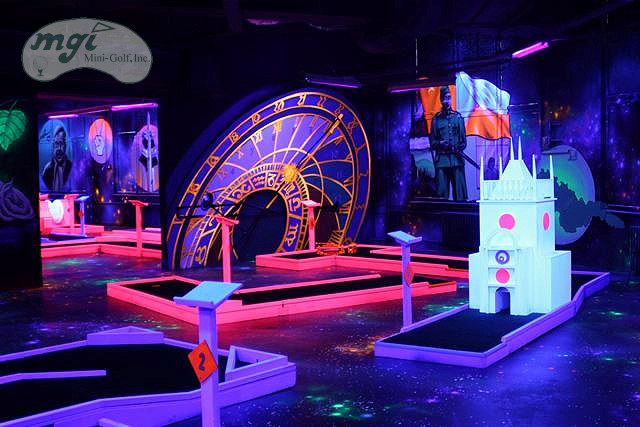 Black Light Courses are a hot trend in the miniature golf industry. 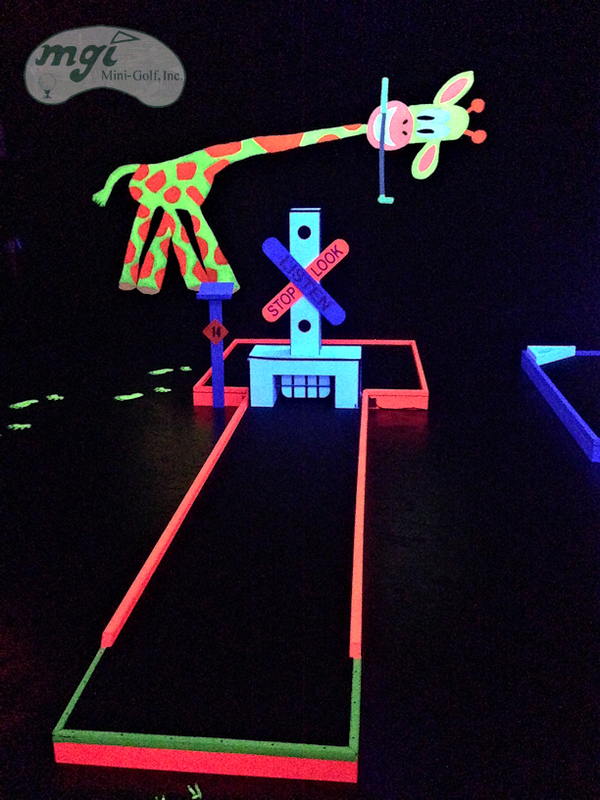 Our Traditional Obstacles can be painted with Fluorescent Paint that glows under a black light. 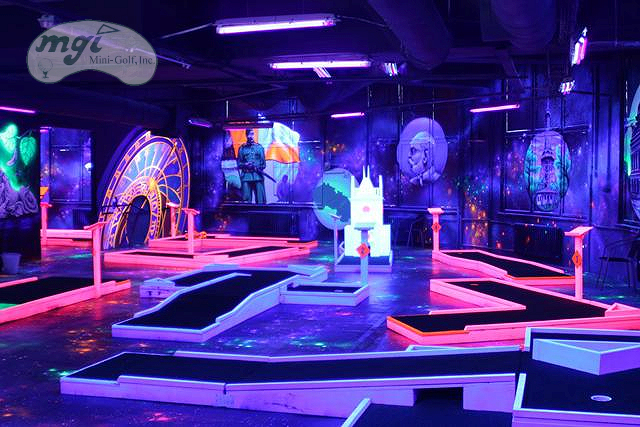 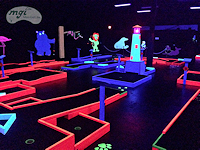 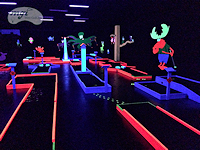 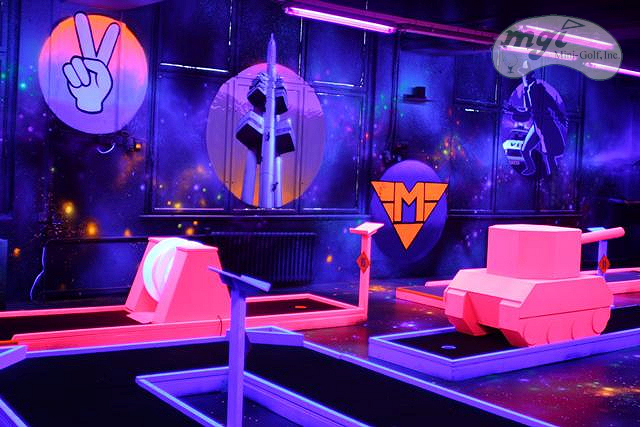 The 2 x 2 rails that hold the ball in play, tee areas, and cups can be painted various colors with fluorescent paint to add to the black light experience. 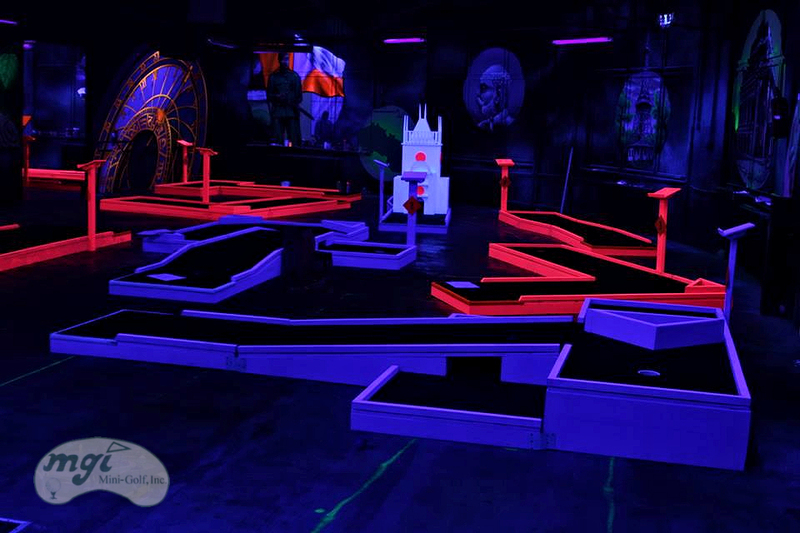 Our traditional green carpet looks black under the black light.